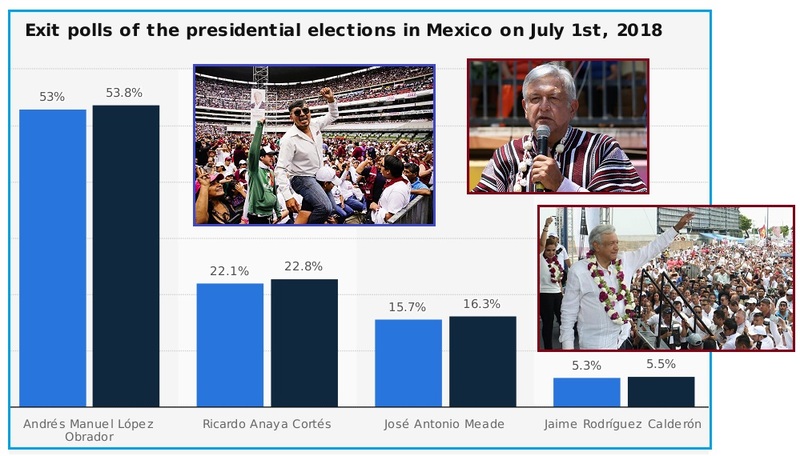 The recent Presidential elections in Mexico put Lopez Obrador into the Presidency, the first left leaning President in decades. It was a resounding victory, but what would this mean for Mexico and its wealthy elite, who enjoyed benefits under the prior administration. In Mexico, the rich 1% were in charge and the 99% who were poor suffered, the income disparity tenacious. 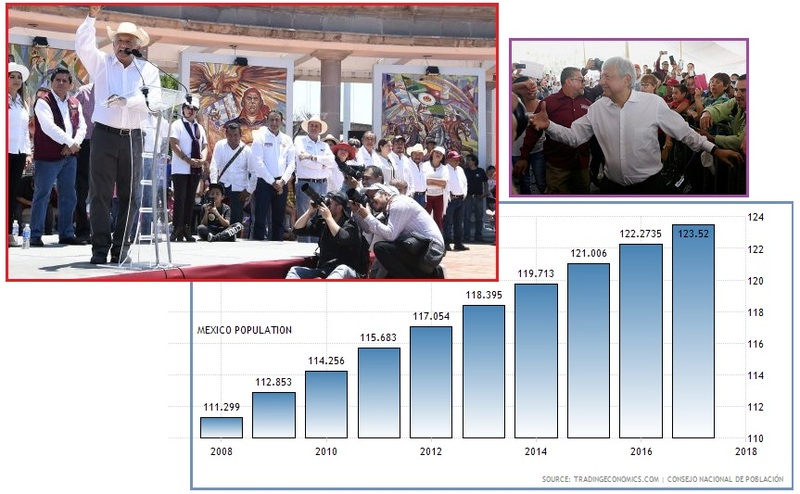 During his campaign, Obrador made what might be considered alarming statements, suggesting that the US should be virtually invaded by immigrants and the drug cartels pardoned. But the Zetas predict another outcome. ZetaTalk Prediction 7/31/2018: Being able to encourage and sustain the local economy is key. 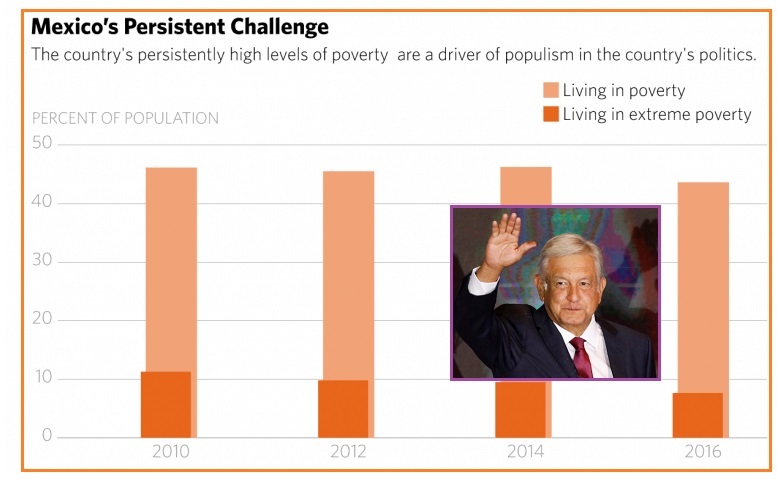 Mexico is not dominated by external corporate control, but the disparity in income is onerous. Its primary problem is the flourishing drug cartels, which port illegal drugs into the US via the leaky border. Obrador’s predecessor Calderon fought the drug cartels, where Obrador may take a different approach. But in that Mexico exports heavily to the US, Trump holds a sword over Mexico by threatening to revoke NAFTA trade deals. South America has increasingly turned left, electing leadership that pushes out US corporate interests, nationalizing assets to turn the profits over to the people. The PAIS alliance took over Ecuador in 2007 when Correa was elected and has been in power for over a decade with the 2017 election of Moreno continuing the policies. The revolution in Cuba occurred in 1959, seizing control of US corporate interests. Despite a US imposed embargo that lasted until recently, Cuba has survived, providing free healthcare and education to its peoples. 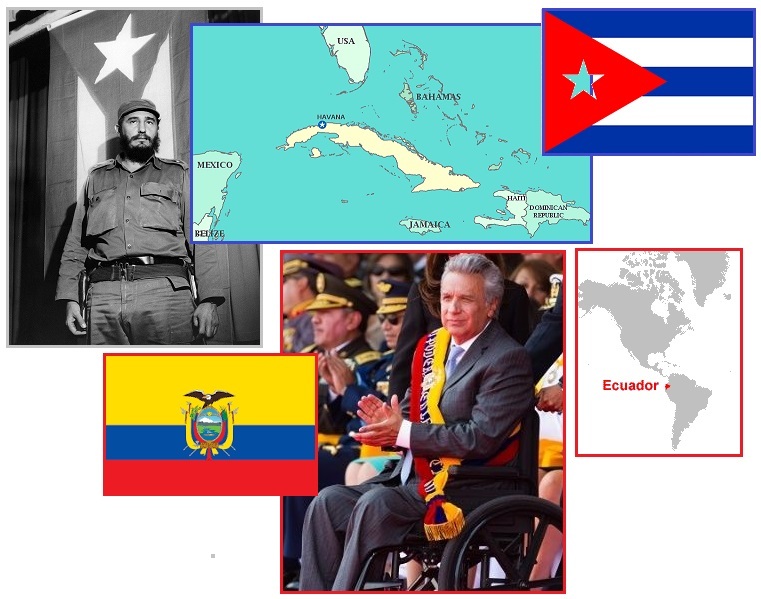 The Zetas consider both these countries to be successful leftist revolutions. PAIS is an Ecuadorian left-wing social democratic political party. Ecuador has had one of the most volatile oil policies in the region, partly a reflection of the high political volatility in the country. In the early 1990s annual foreign investment in oil was below US$ 200 million, by the early 2000s it had surpassed US $1 billion. Changes in political power led to an increase in government control over oil extraction. In particular, the election of President Rafael Correa, on a resource-nationalism platform, prompted increases in government control and the approval of a windfall profits tax. Although Cuba belonged to the high-income countries of Latin America since the 1870s, income inequality was high, accompanied by capital outflows to foreign investors. The country's economy had grown rapidly in the early part of the century, fueled by the sale of sugar to the United States. Its population was characterized by chronic unemployment and deep poverty. The banks and the country's entire financial system, all electric power production and the majority of industry was dominated by US companies. US monopolies owned 25 percent of the best land in Cuba. More than 80 percent of farmland was owned by sugar and livestock-raising large landowners. On March 3, 1959, Fidel Castro seized control. ZetaTalk Comment 7/31/2018: Moreno was elected President in Ecuador in 2017, continuing the leftist regime. Moreno supports allowing Assange to live in the Ecuador embassy in London, where the opposition said they would end this practice. Ecuador also seized the US corporate run oil companies and placed the oil profits in the hands of the people. This was a successful revolution. Castro provided Cuba with jobs and free medical care for decades, disdaining capitalism for Communism. Despite attempts to isolate and demonize Cuba, this revolution was a success. Brazil’s fortunes turned around when it turned its back on IMF debt slavery, refusing to pay the draconian interest rates and instead joining BRICS. Brazil negotiated new terms for itself with the IMF. Since then its economy has been stable and successful. Per the Zetas, another successful leftist revolution, turning its back on IMF and corporate control. The BRICS countries—Brazil, Russia, India, China and South Africa—will convene in the Chinese city of Xiamen for their annual summit. Taken together, these five countries cover 40 percent of the world’s population and more than 25 percent of the world’s land. The left wing Workers' Party (PT) rose to power thanks to the International Monetary Fund. The public, sick of hearing about how the government had to pay foreign lenders and didn't have the money to pay to develop a poor economy, voted out the ruling elites and voted in Luiz Inacio Lula da Silva, a union rabble rouser. Lula kicked the International Monetary Fund to the curb when Brazil paid the $15.5 billion it owed them in December 2005. No longer was the government beholden to the designs of the Fund's financial demands. From 1964 to 1985, the military controlled the government under a succession of generals, who suspended constitutional guarantees of rights. Civilian government was restored in 1985. In order to avert a disaster, the International Monetary Fund (IMF) stepped in and gave $41.5 billion in emergency funds; in 1999 the government reduced the value of its currency. In 2001, Cardoso announced the launch of a $6 billion anti-poverty program that included health and education programs for the poor. But the economy worsened, and the IMF had to grant further loans. 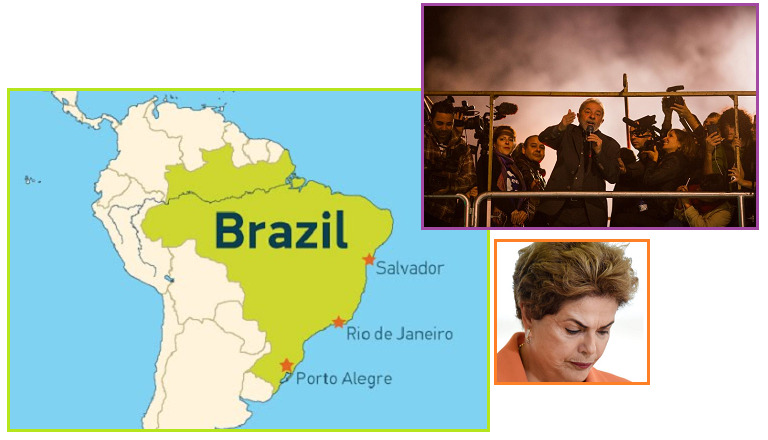 ZetaTalk Comment 7/31/2018: Brazil has had leadership by the Worker’s Party since 2010 and the economy does well and is steady, the 8th largest in the world, despite President Rousseff being impeached for corruption. Brazil is a member of the BRICS banking network, likewise a success. 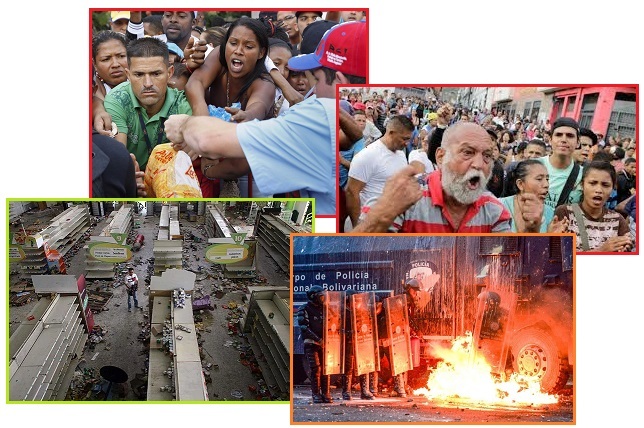 And then there is Venezuela. Venezuela seemed well positioned when the Chavez revolution occurred, as it had oil profits to support its generous welfare system. But rather than save Venezuela, it proved to be part of the downfall. When an OPEC induced oil price war occurred in 2014, the funds ran short, and the people began to riot. 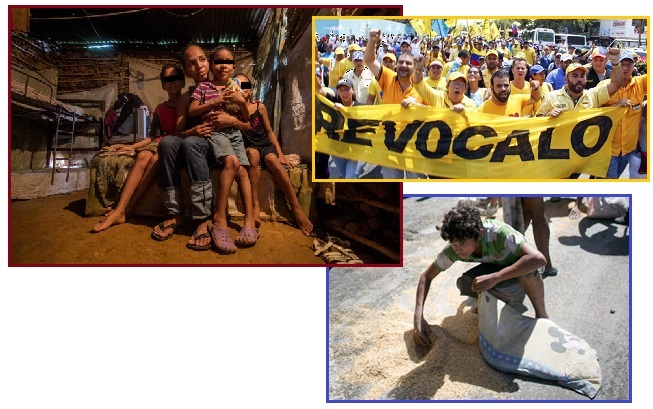 Venezuela became a Case Study in what can happen when a society that has come to rely upon cradle to grave welfare to take care of their every need fails. Following the adoption of a new constitution in 1999, Chávez focused on enacting social reforms as part of the Bolivarian Revolution, which is a type of socialist revolution. Using record-high oil revenues of the 2000s, his government nationalized key industries, created participatory democratic Communal Councils, and implemented social programs known as the Bolivarian Missions to expand access to food, housing, healthcare, and education. While it maintains mostly an inverse relationship with the U.S. economy, the price of oil and Venezuela's economy move pretty much in lockstep. When oil prices are high, Venezuela enjoys good economic times. When oil prices drop, economic disaster ensues for the South American country. Such was the case during the second half of 2014, when a precipitous fall in oil prices caused the bolivar currency system in Venezuela to crumble and pushed the country to the verge of defaulting on its considerable debt. 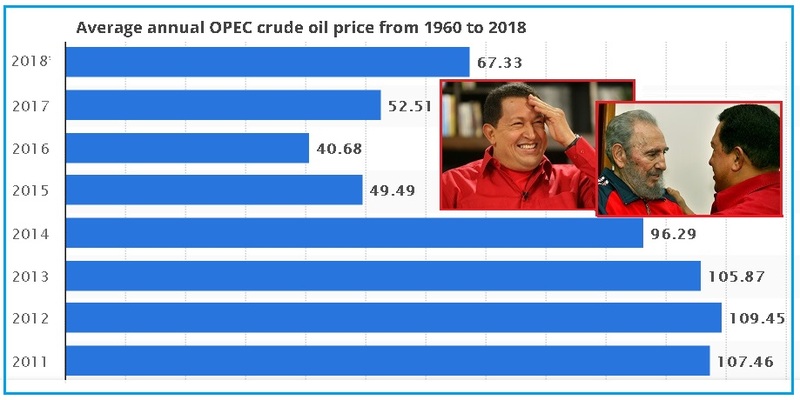 ZetaTalk Comment 7/31/2018: Under the United Socialist Party, Chavez initially sought to commandeer oil profits in Venezuela, giving the profits to the people. But Chavez was a poor manager and fled the scene into a cancer death in 2013. Venezuela has become a disaster. If the loss of oil profits was part of the problem, the main problem was that the people did not know how to grow and distribute food or conduct any kind of industry. In a country with many advantages - rich soil, plenty of rain, a temperate climate, and not at war – the populace seemed without direction or motivation except to riot and demand the old welfare system be restored. Leadership was utterly missing, so Chavez and Maduro began relying upon the military. First to emerge was starvation. In a new sign that Venezuela’s financial crisis is morphing dangerously into a humanitarian one, a new nationwide survey shows that in the past year nearly 75 percent of the population lost an average of 19 pounds for lack of food. In all, 82 percent of the nation's households live in poverty. Venezuelans suffer shortages of the most basic goods, from food to medicine, amid triple-digit inflation and a nearly 80 percent currency collapse in the last year. Now Venezuela has developed run-away inflation and become a banana republic. Their currency is worthless. Why aren’t the citizens farming and fishing? Have they learned nothing from Cuba, which is self-sufficient, or Ecuador right next door? Are there no natural leaders in Venezuela that can overcome the lethargy that being raised in a welfare state has engendered? Go out in the fields! Garden! Free range the chickens! The barter system has likely returned, per the Zetas, a positive move. Five million Venezuelan bolivars is the equivalent of $1.45. It's also roughly a minimum-wage worker's entire monthly salary in the South American country. Thanks to stunning inflation, it now takes 1 million bolivars to buy a cup of coffee in a Venezuelan café. Additionally, if the pace of inflation over the past three months continues, that inflation would be 482,153 percent after a year. ZetaTalk Prediction 12/15/2001: We predict that long before the shift, a barter system will be replacing the current paper money system. The value of the dollar, in all countries, will be falling, such that in any transaction one or both parties will feel they are getting a fair deal only if a thing, not a representation, is given or received. This is a common practice in countries where the dollar is falling, and a natural migration as the thought occurs readily to mankind, the barter system being recent in their cultural evolution. 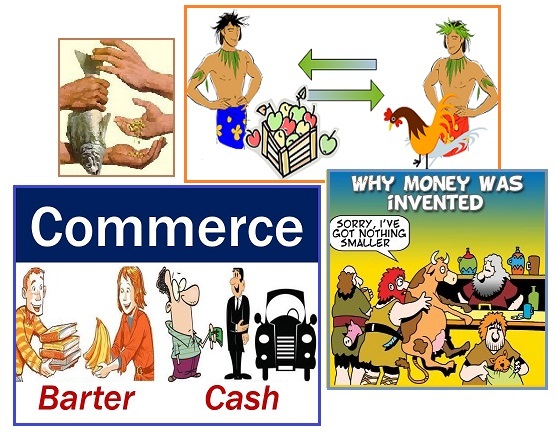 ZetaTalk Vision 7/15/1995: What is money? A medium of exchange. Something of consistent value, or at least stable value, which allows the barter system to take place in a more abstract manner. However, the existence of money, which has been called the root of all evil, supports activities that give no value in and of themselves. Money is replaced by communication and cooperation, and this works just fine. Becoming self-sufficient does not require money or magic. It requires a decision and persistence. It can be done by those living in city slums, such as Growing Power has shown. It can be done in back yards and along crime ridden streets, as an LA hero has shown. 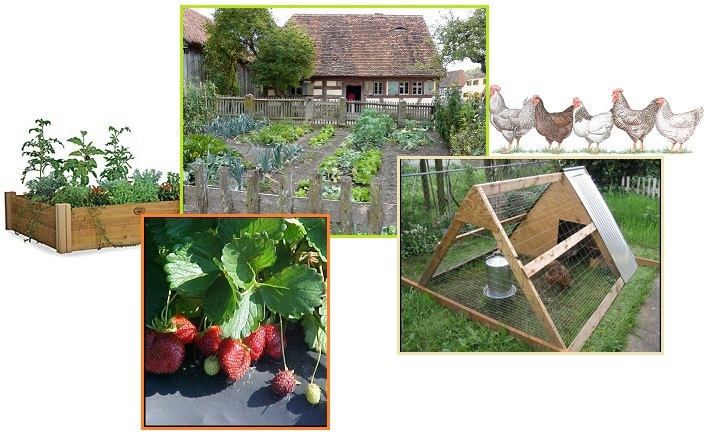 It can be done on a tiny plot of land, without the need for fertilizers purchased at the store. It can, thus, be done by anyone. Just get started on this, folks, before you find yourself rioting for food and in a panic! 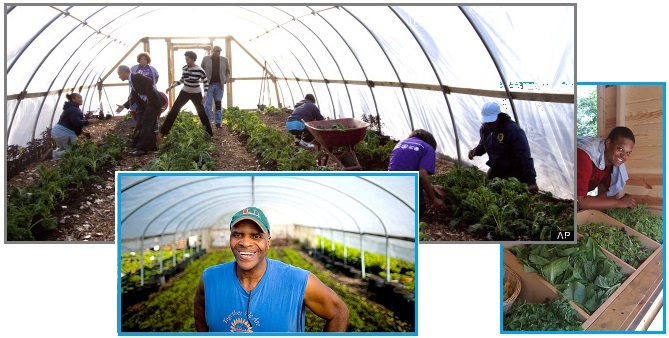 Growing Power organization has six greenhouses and eight hoophouses for greens, herbs and vegetables; pens for goats, ducks and turkeys; a chicken coop and beehives; and a system for raising tilapia and perch. There’s an advanced composting operation — a virtual worm farm — and a lab that is working on ways to turn food waste into fertilizer and methane gas for energy. With a staff of about three dozen full-time workers and 2,000 residents pitching in as volunteers, his operation raises about $500,000 worth of affordable produce, meat and fish. Using millions of pounds of food waste, the farm produces endless compost piles, which are then enriched by thousands of pounds of worms, essential to producing the highest quality fertilizer in the world. 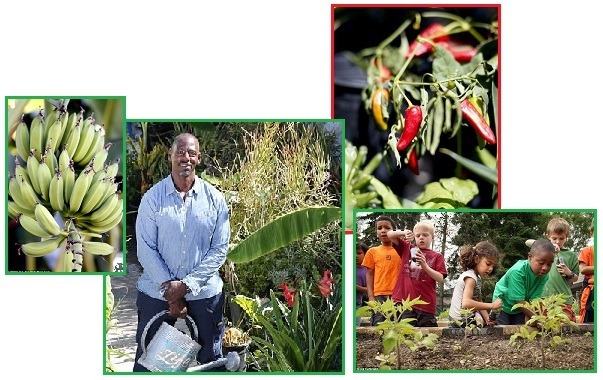 Ron Finley founded a group that set about establishing community gardens across the city – in homeless shelters, empty lots, and other parkways. He began to build in the abandoned pool behind his home - planting trees, fruits and vegetables that would later become the thriving urban jungle for which he is best known. Before long he had fresh pomegranates, lemons, peppers, squash and carrots: a menagerie of practical organic foods the neighborhood desperately needed, and were open for the taking. If you already live in an urban area, or in the suburbs, you are a step ahead, but even someone crowded onto a high rise can do container gardening. 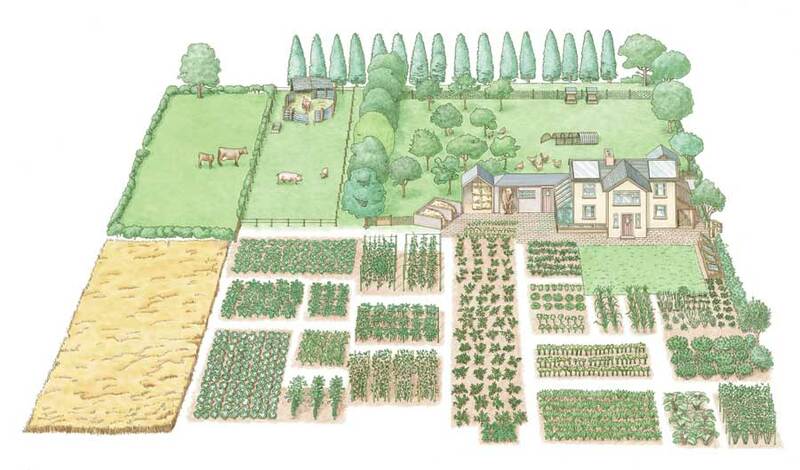 A family can get along on a mere acre of land, and this includes space to graze livestock and free range chickens. Even subsistence on Mother Nature is possible, as was presented in Issue 364 of this newsletter. A meat free diet need not lack protein. Duck weed is high protein, and corn and amaranth combined have the lysine equivalent of red meat! All your vitamin needs can be supplied by bugs and weeds. In order to derive any sort of living from that 1 acre without the application of a lot of artificial fertilizer, it would have to be heavily manured. Chickens for eggs, meat and pest control are the top livestock choice on most homesteads. ZetaTalk Prediction 12/15/1999: After the cataclysms the snug blanket of protection that many have taken for granted will be gone - no Social Security checks, no home deliveries, no 911 emergency service, no free medical services, and no welfare checks. In essence, humans will be relying on one another, and not on an infrastructure.